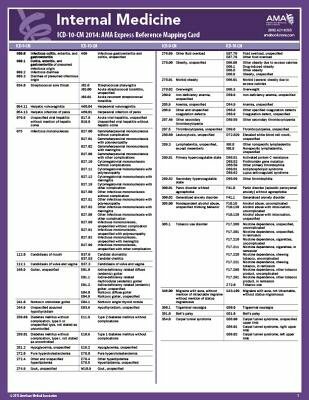 Organized by ICD-9-CM code, these four-page express reference cards map 60 to 80 of the most commonly used ICD-9-CM codes to relevant ICD-10-CM codes. Seventh digits are also indicated. Refer to these convenient, durable cards as you examine your practice's most frequently used ICD-9-CM codes and transition to ICD-10-CM.